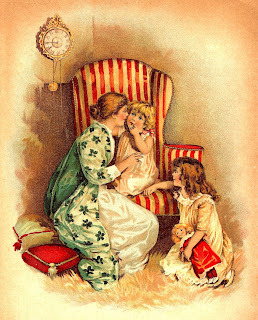 This is a beautiful vintage chromolithograph from a children's storybook. 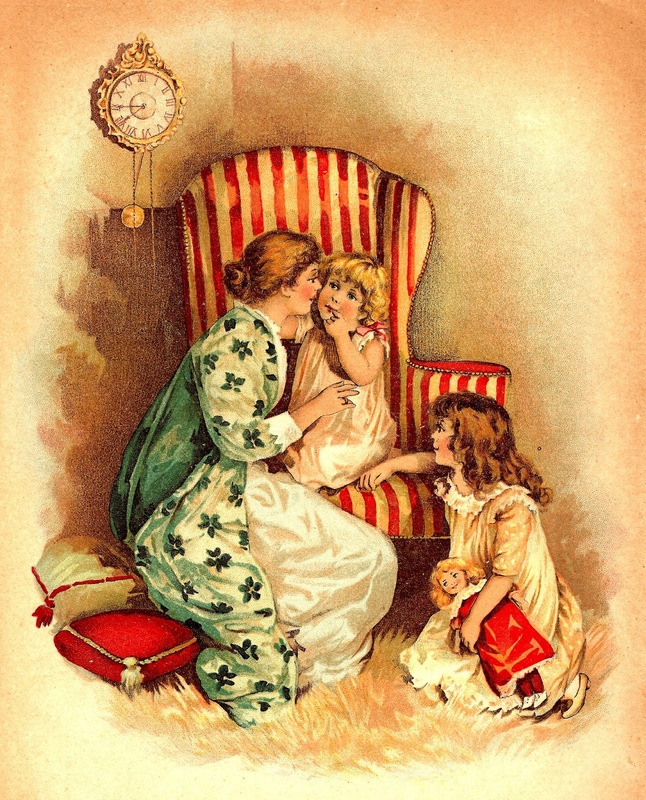 The charming scene of a mother and her two daughters makes for a perfect Mother's Day graphic. And, I love the room they're in! How sumptuous! The pillows, big, comfy chair, and that PLUSH rug all look so lovely. By the look of their clothes and the time on the clock, I think they're all ready for bed. I hope you enjoy! Aww so sweet. Thanks hon! You're welcome, Susan! It is a sweet image.